2010 has seen many inspiring releases that have created quirky or interesting mechanics for gamers to enjoy throughout the year. To be nominated for an award in Most Innovative, unique gameplay is key. No standard first/third person shooters. Here are the IndieDB editor's and our judges top selection of 2010.
is a platformer on top of a rubik’s cube. 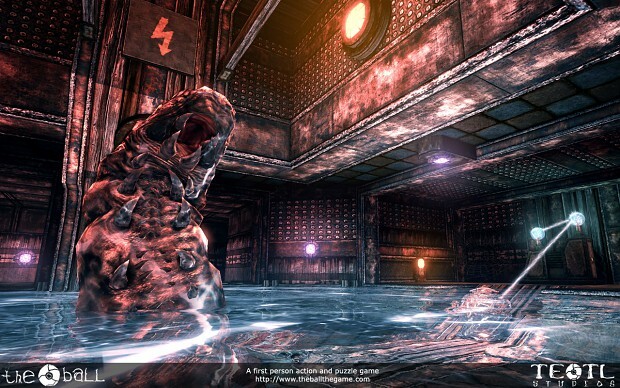 It comes with 32 levels that could melt your brain. After the main game, there's a challenge mode that lets you play the game in a whole new way, or the same way if you have OCD. My thoughts too. Hasn't this been included already in prior MOTY? Nothing against the project but it's "déja vu". i kind of agree, projects winning multiple titles is kind of boring. It's probably cause it's turned fully Indie now? Why would calling a project "indie" be more innovative than calling it a "mod"? The indie awards didn't exist before this year. Since The Ball was released as an indie title this year, it is eligible. And I understand that they added quite a bit more content into the game since they started developing it as an indie. I honestly don't think it'll win though. I haven't played all of these titles, but Minecraft seemed like the most innovative to me... and damn fun, addictive, and awesome. Have not heard of Nudo until today. Intrigued! Because it is very different and much more polished and finished. Do your homework. Yeah, it would be nice if they spread out the nominees to include lesser known games. Being a nominee in one category is already an accomplishment and should suffice. Another countdown. Maybe when this one ends they will announce when they will announce the winner. I am in a bridge, on a side there is Minecraft and on the other there is Nudo. Minecraft - Wins since it brings a good new sandbox open-ended gameplay that drops the player in a world full of interestic content to experience. 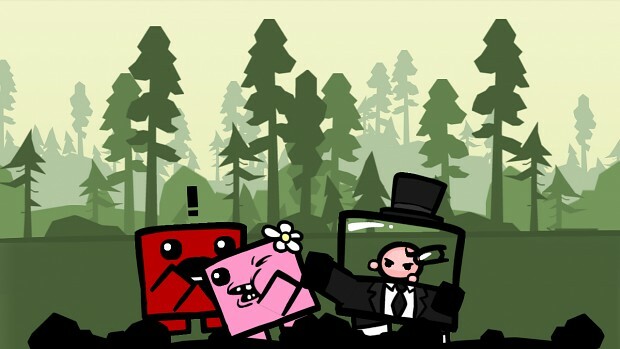 Super Meat Boy - I really like the game but it doesnt inovate all that much since it tries to bring back that old gameplay of the classic platformers. The Ball - Never played it (again) but I dont know if it makes sence to be in the list, Dremth already explained the situation but it still doesnt justify for me. They already how the community feels about their game, they dont need to know it again. Sure its always nice to win an award, but trust me, you (The Ball developers) are already respected by this community so... yeah. Keep making good games. Why is there no "most innovative mod" award? Simply put, we could not fill the minimum required nominations for that particular award. Surely innovation should be rewarded. If there are only two feasible nominees for the award one year, the lack of contenders could be enough to see more modders look to be innovative the next. Afterall, the point of these awards is not only to congratulate the accomplishments of those who are able to complete a mod/game, but to encourage potential in the modders of tomorrow. Congrats to Minecraft, as well as all the nominees. I like the idea, Henley and DesuraNET, that you've included some quotes which shows your point of view very well, you can notice now really good why something got the prize. Heavy Weapons guy: "Minecraft won. Not big surprise!" It is somehow chilling to see the game I help maintain to get an award on a website I've been on longer than maintaining the page. I love the quotes! Humph. 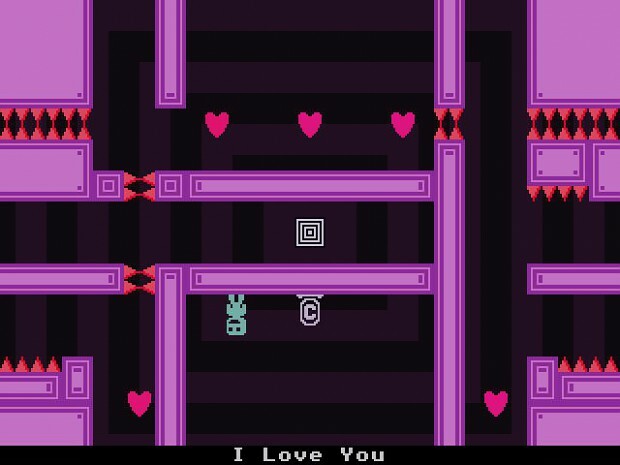 I don't think VVVVVV was very innovative (gravity-puzzles have been done many times before), and Super Meat Boy didn't innovate ANYTHING, it simply tried to recreate and polish up the good ol' platformer gameplay. The Ball won last year, so I don't feel it deserves to be here (even though it has been released as a full indie title now). 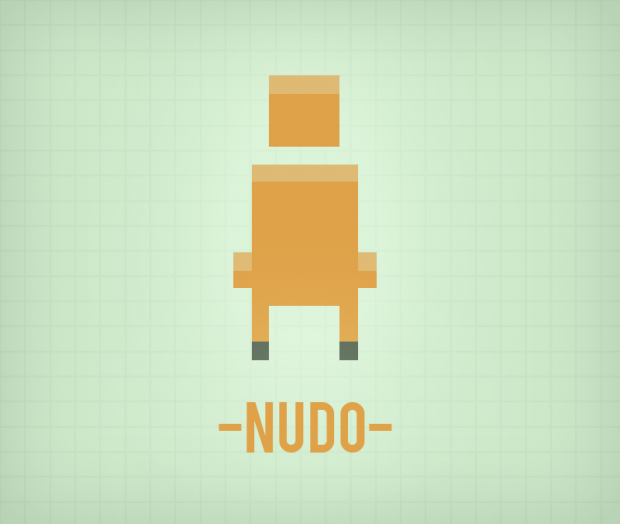 I haven't played Nudo, so I can't really say anything other than that it sure looks more innovative than VVVVVV and Super Meat Boy. That just leaves Minecraft, which would have won against these anyway. I am kind of dissappointed. Weren't there ANY innovative titles except Minecraft this year? And Minecraft didn't really innovate either. It just built on the existing concepts from Infiniminer. Really disappointing year for Indie titles if none of the top 5 "innovative" games actually innovated anything. 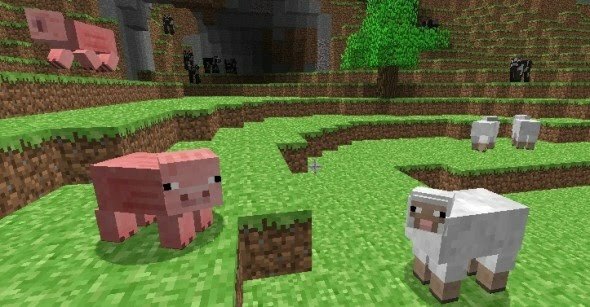 Oh, wait, Minecraft is also alpha as of yet! Ohh Notch! May i gratulate you, and the rest of the team! Minecraft have really been in the spotlights in 2010! Best wishes in the future, you guys deserves it! Platforming games are the height of innovation now? 1990 called - they want to know what the hell is going on. Not denying in any way how excellent these games are - Meatboy and VVVVVV are lauded for good reason, but calling them innovative just so you can award them something is a bit rich. I played stuff like that on the Amstrad 20 years ago and just because the genre is undergoing a resurgence in the form of lo-fi flash/iOS gaming does not mean it's innovative. Maybe I'm missing the point a little, but since you're only justifying your decision with a paragraph of press release it seems pointless. MODDB is a great showcase for the lesser known stuff, but you're not doing a great job of explaining WHY these titles are innovative or what's new about them and the lack of insight into your reasoning cheapens things a bit IMO. the Minecraft karma train seems to now be arriving at this feature. O.o I wonder why we even HAVE a train. Very "innovative" of Notch to take the core game mechanic (block-based world/mining) and low-res art ideas from Infiniminer and the world mechanics of Dwarf Fortress and put them together. I don't think Minecraft really deserved the title of "most innovative" considering it literally started as an Infiniminer clone (In Notch's own words, by the way). 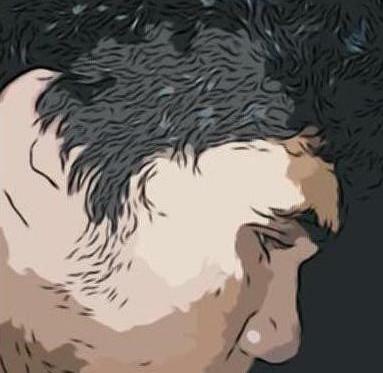 How is a clone of another indie game considered innovative? you could argue every game is a clone of another. super meat boy? mario. The ball? HL2's gravity gun, but extended. half life 2? pretty much every game that has an alien invasion. it's -how- they differ and how they are presented that truly shows the quality of the game. if it's a generic ripoff, it will fail. if, like minecraft, like VVVVVV and super meat boy, it introduces things in a better way, it will be successful. Yet it's still a clone... and a clone is not "innovative". The idea of innovative is to go the other direction than the rest (to some degree experimenting) and see what interesting stuff jumps out of it. however, to call minecraft a clone is simply unfair. it has grown to be almost impossible to compare to infiniminer. it has mobs, it had day/night, it has crafting and smelting, it has the Nether, it has farming and planting. I could go on. The fact is, it was only a clone in the sense that it was 3D and blocky. To call it a clone in it's current state is really an insult to the game, as the only way it was a clone is how the enviroment is made up, which quite frankly is also inspired on babies building blocks. Quite simply put, minecraft -was- a clone of infiniminer. but now, it's so innovative and different that it's shed it's clone shell, and transformed into something else that is unrecognisable to infiniminer. I am new to minecraft and I gotta say I am hooked and im a purist FPS kinda guy. Great job!! lol, can't have awards without the hate. Congrats to Minecraft and I'm seriously looking forward to some good ol Meatboy and VVVVVV and eventually The Ball. You've obviously never played Penumbra or Eternal Darkness if you actually think Amnesia is innovative in any way whatsoever. It's a great horror game, but it's almost identical to its predecessors (Penumbra) with a few generic horror game twists thrown in. For everyone who disagrees, if you would take your time please and read what title says: EDITORS choice! And what difference does this make? Aren't editors choice to be more "sane" than players choice as they should not pick results based on fanboyism as players choice is by default? They "should" pick a game they see fit and they did. They mixed up the meaning of "most innovative" with "best". While Minecraft is possibly the "best" indie, it is by no means the "most innovative".